Royal gossip is a dime a dozen these days: Meghan Markle has shielded most of the heat for her dramatic arrival into the British royal family, but now there are reports that Kate Middleton is having her own friendship struggles behind the scenes. Since marrying into the family in 2011, and her eight-year relationship with Prince William before that, Kate's family and friends have been exceptionally discreet and details of her private life are rarely made public. 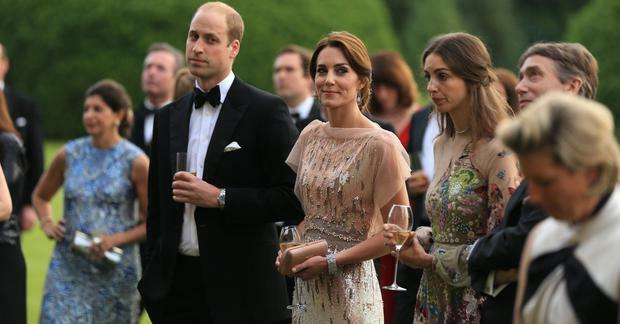 Over the last week, however, the Duchess of Cambridge has been linked to a feud with her "close friend" Rose Hanbury, Marchioness of Cholmondeley, a wealthy neighbour near her home in Norfolk. Last Sunday, the Mail on Sunday reported that there was Kate saw Rose as a "rival to her rural crown" and on Saturday, The Sun followed up that Kate wanted to "phase" out Rose and her husband David Rocksavage (58), the reasons for which have not been made clear. 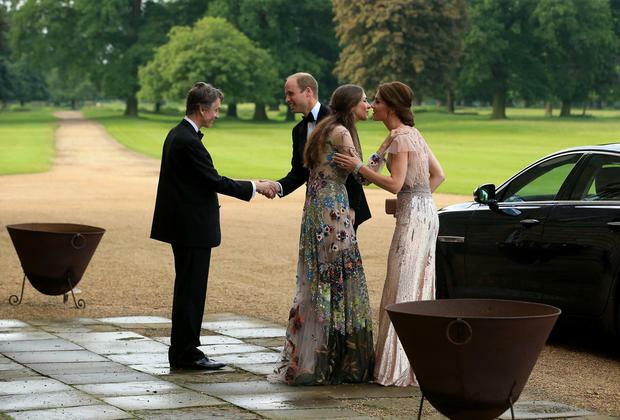 It's believed the closeness of their friendship has been exaggerated as sources now say that they've only been to each other's homes on three occasions and the only work they share is through their roles as royal patron and patron of the East Anglia Children's Hospice. "I am told the rumours of a falling out between these two attractive young women are false. I can also reveal both sides have considered legal action but, because none of the reports have been able to offer any evidence about what the so-called dispute is about, they have chosen to ignore it," a source told the Mail on Sunday's Richard Kay. "There has been talk that the rumours were got up to damage Kate. So what is going on?" An insider close to Rose told the newspaper: "They see each other occasionally and like each other,’ a figure close to Rose tells me. They are not part of each other’s close circle. It isn’t even remotely a bosom-close friendship." William and David are said to be "baffled" by the reports and haven't been able to identify the source, but have been quick to dismiss them as anything more than "hurtful rumours" and are "simply false". "This is a question of a lie going round the world before the truth has even had time to take its boots off," a source said. The timing of these reports is intriguing, not only because it's uncharacteristic over the course of Kate's 16 years in public life, but also the suggestion they were created to damage her reputation. Last year, she and her sister-in-law were said to have a rift of their own, but now it's believed the true source of tension is between William and Harry. The only clear winner is gossip-loving royal watchers trying to assess credible sources and motives for the new generation of drama.